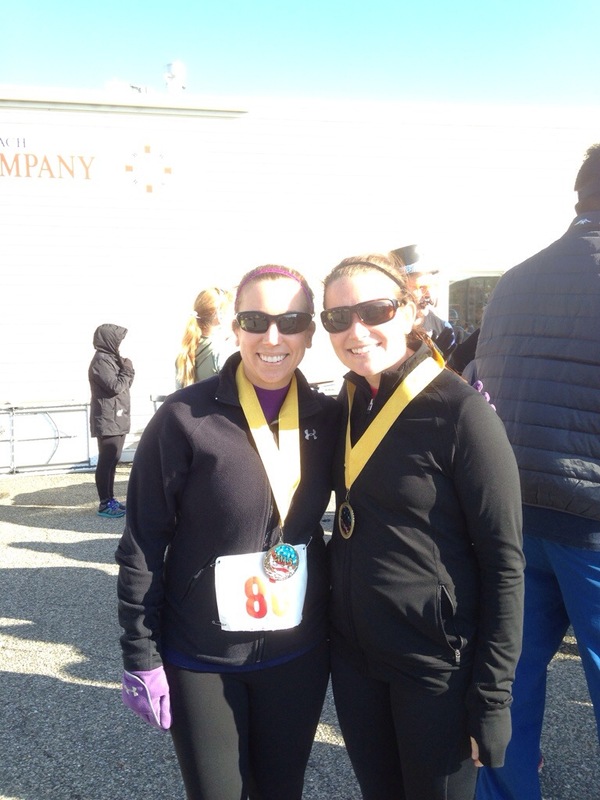 5-miler, 5k and Shiny Medals! Like the babes I did my best to stay in my pjs all day. Some days I think I stayed in mine longer then they did! During my break I did get to change out of my pjs and put on my running clothes! The first race I did was the Surfin’ Snowman 5-miler and Santa’s Helper 2 mile walk or run. This was the first time having this race and it was awesome- start to finish! 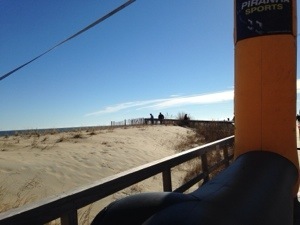 Living near the beach we have the unique experience of having beautiful race courses! 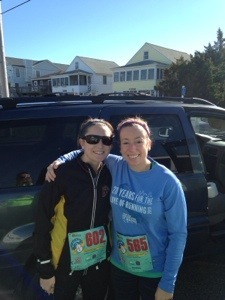 This particular race took us through a double loop of Bethany Beach and then to the boardwalk for an awesome finish!! 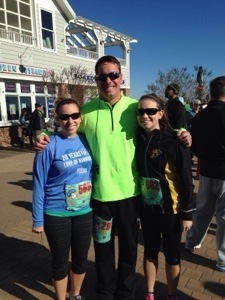 The last time I ran a 5-mile race it was my wedding day! The morning before me and my hunk tied the knot I grabbed my sister, one of my bridesmaids and a few other friends and pounded those boards! That race was fun and I finished above 50 minutes for sure. This race I was hoping for around 50 minutes. I know my pace has gotten better but I like to set reasonable goals when racing (because who wants to do disappointed anyway) I had my run keeper app running and since I had just gotten a new phone I had not updated any settings on my apps- this proved to actually work in my favor! As I started my run I heard a voice from my app update me on my time, distance and pace- the good news was that after five minutes I had ran more than .5 but the bad news was that it would continue to update me every 5 minutes!!!! I was really thinking that might mess with my mojo but it was actually encouraging hearing I was running a sub 10-minute mile. 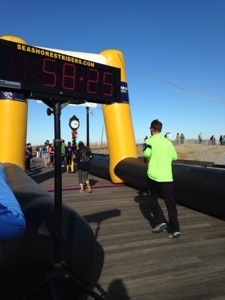 After my double loop and epic boardwalk finish I started sprinting to the finish line as I could see the clock was at 45:00!! This picture was taken as I was approaching the finish line! I was pumped to finish In 45 minutes and to see my stats that I had kept a solid 9 minute mile throughout the race! Once we finished the race ( my sister and her husband also ran) we were able to automatically check our official time and place for our age group by scamming the code on our bib! 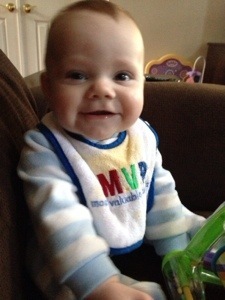 It was awesome to get our results instantly! We also hit up the post race refreshments- they had a unique but awesome spread—- apple pie, soft pretzels, coffee and hot chocolate! The treats were a perfect way to end an awesome race! I loved it so much I contacted the director about being an ambassador! 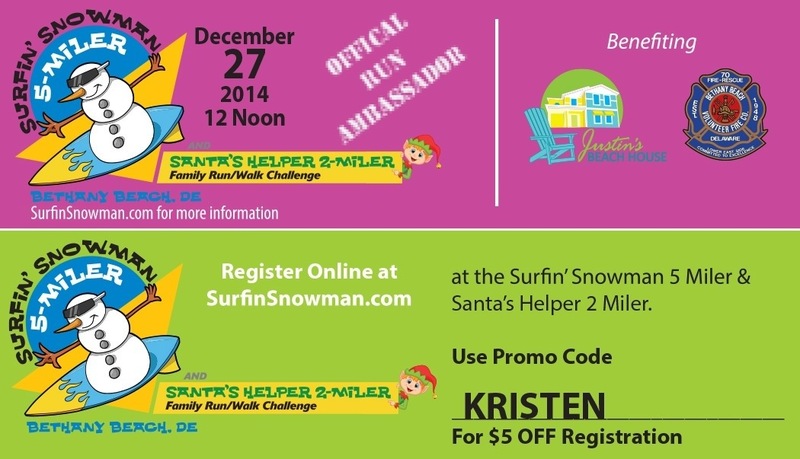 If you plan to be in the Bethany Beach area next December (weekend after Christmas) sign up for this awesome race! You can even use my code and save $5.00!!! 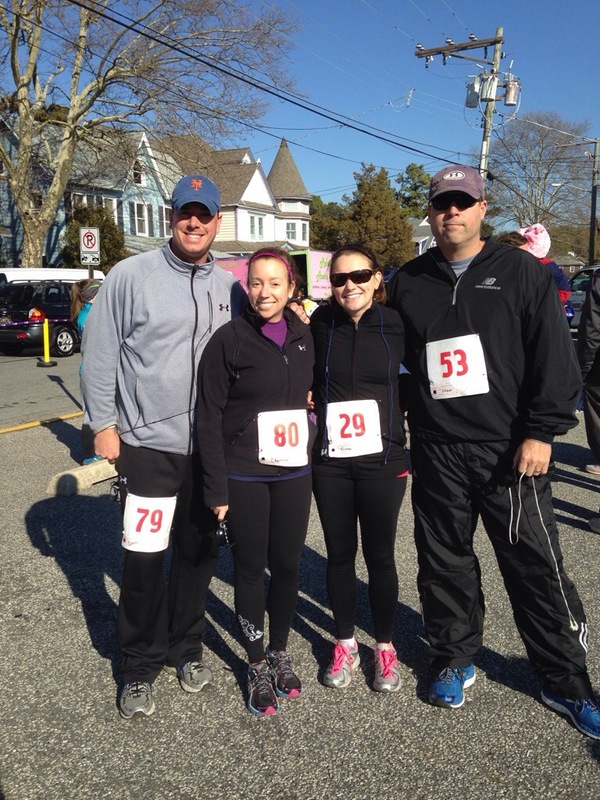 This was my 3rd time running this race and I would like to keep this going as a New Years Eve tradition! 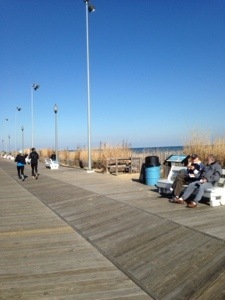 The race started at the Rehoboth Beach Running Company store and eventually ran us up and back on the boardwalk. I felt good running this race and hoped to finish around 30 minutes. I did stop and take a short walk break around 2.5ish and I think that was due to not eating breakfast and the race being at noon. Either way once I could see the clock I noticed that it just turned 27:00! 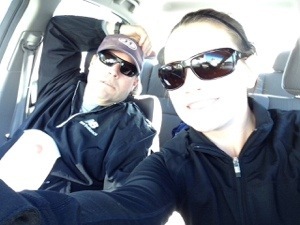 Once I saw the time I made a mad dash for the finish and ended up finishing in 27 and some change! 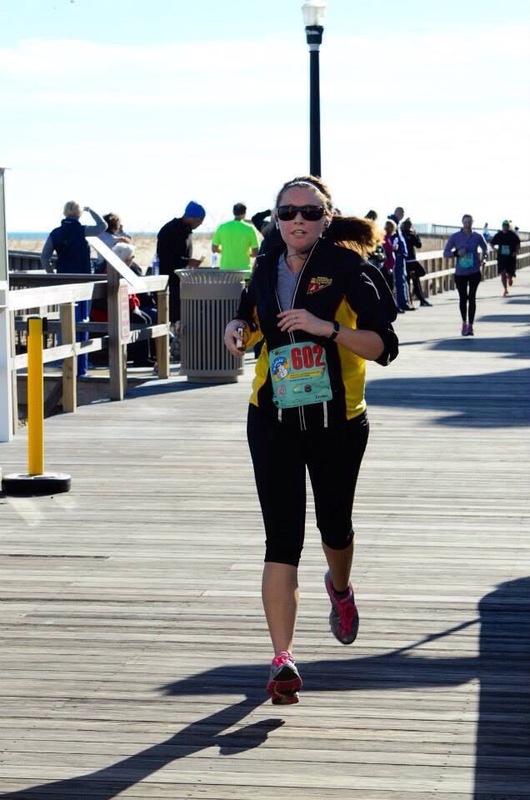 This marked my 5k PR! I was so pumped to end the year with a PR only to find out I actually won 1st place for my age group! 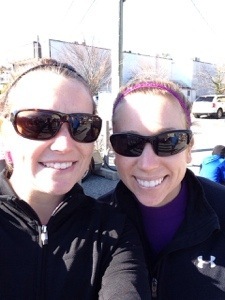 My sister won 2nd place for her age group and we thoroughly enjoyed sporting our medals as we had our post race lunch at the Dogfish Head Brewpub! The PR and the 1st place award confirmed what a great year 2013 really was for me! It also made me excited for what 2014 has in store! If you are interested in either race feel free to ask for details! 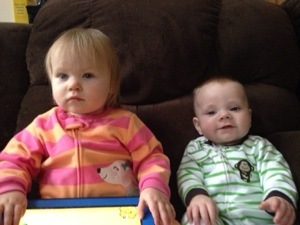 They both are very well organized and great to help offset the Holiday fun! 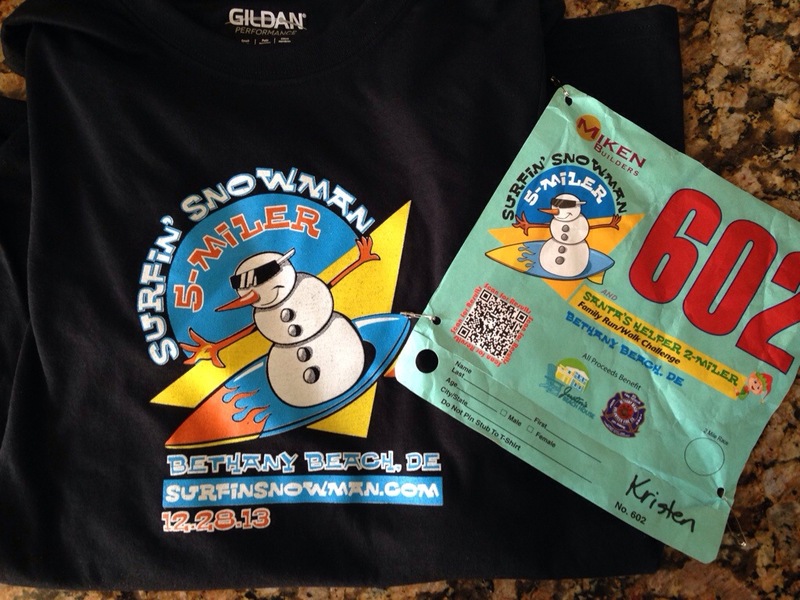 Did you run any Holiday inspired races? Did you visit family and see any local races going on that you will try out next year? Previous Post New Year and a NEW CONTRIBUTOR!! !